One of the ways I try to stay productive is by setting deadlines for everything. I am one of those people that struggles to get anything done if there isn’t a hard deadline to make me actually do something when I know the clock is ticking down. However, sometimes I am just anxious to know when that next vacation, concert, or big event is and want to know at a glance as I anticipate what is to come. One of my go to apps for keeping up with deadlines and other events that I am concerned about is called Countdown Widget. As simple as the name sounds, the app itself is very simple. However, do not let this fool you into thinking this app isn’t worth a look at. As of July 12, Countdown Widget was updated to version 3.0 in the Apple App Store. With this update comes even more refinement and several new features including iCloud Sync. I want to highlight iCloud Sync as this is the killer feature (you can only get this through a .99 cent in app purchase – but it is totally worth it!) 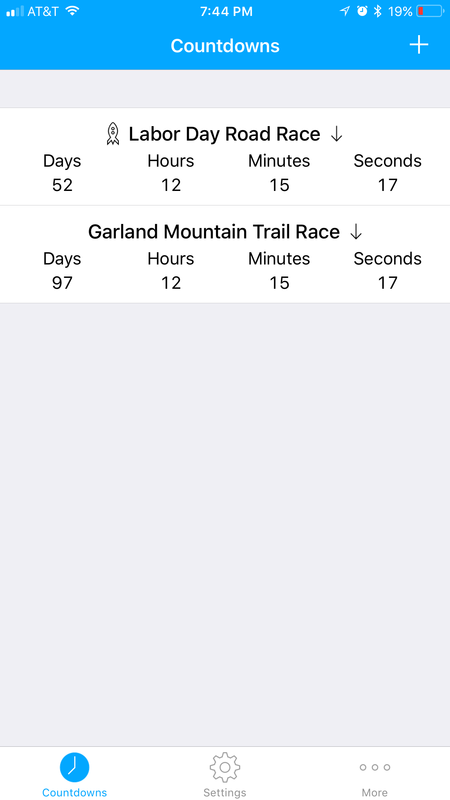 that allows a user like myself to navigate between my iPad, iPad Mini, and iPhone with all of my countdowns in one place without having to do this on all three devices. What makes this app a huge recommendation is the fact that not only is this a great app for one device, but for all of my Apple devices. Too often I have an app that I love and makes my life a little easier, but that app isn’t always available no matter what I am doing and on what device. With Countdown Widgets, just like Reminders or Calendar that are default on an Apple device, so too is Countdown Widgets. If you are on the fence about committing to an app like this, which I totally understand, know that the app is free to use, but will lack some features like iCloud Sync which make the app a little less automatic as a user experience if you have more than one device. However, if you do find you enjoy the app, the cost of entry is a one time fee of .99 cents which is almost worth it with out the features you get knowing you are supporting a great developer. Here is the developers website which is www.shayesapps.com and you can find the developer on twitter at @shayesapps as well. Remember to search in Google “Countdown Widget by Shayesapps” for the official app. Previous Previous post: A smart, quick way to check your Heart Rate Zone?